I have a new favorite fruit! 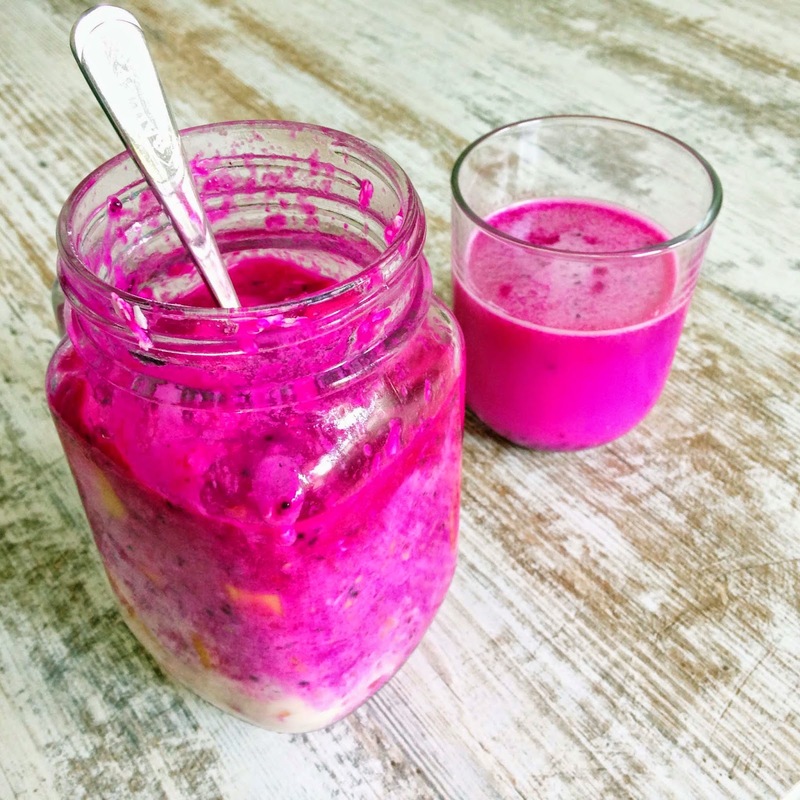 Pink pitahaya....or pitaya or dragonfruit. That fruit already caught my eye years ago! Because, well, look at the bright and vibrant color! 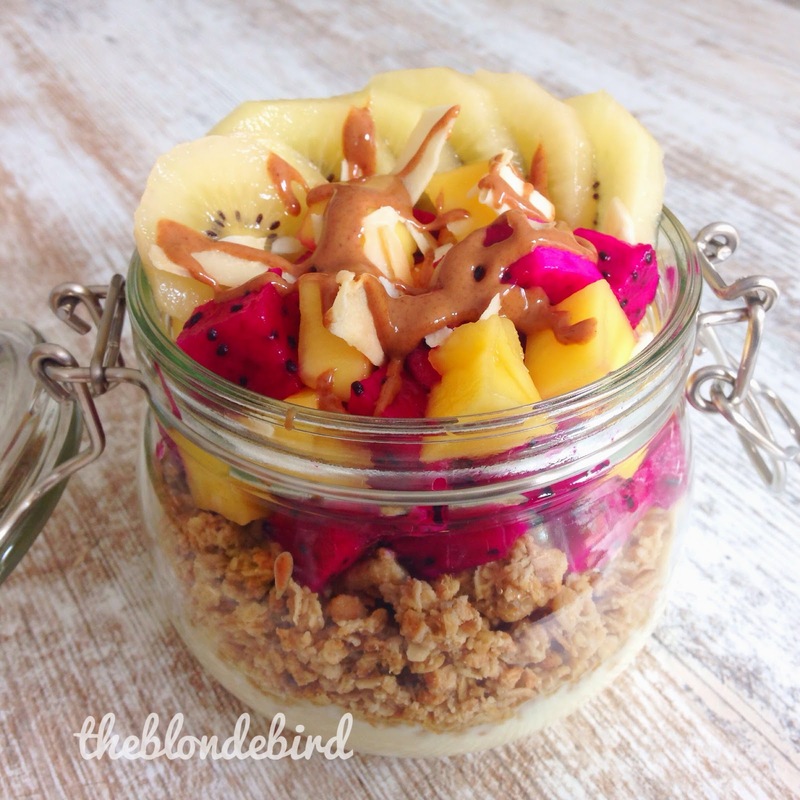 The layered breakfast jar above is hands down one of the prettiest I have ever made. 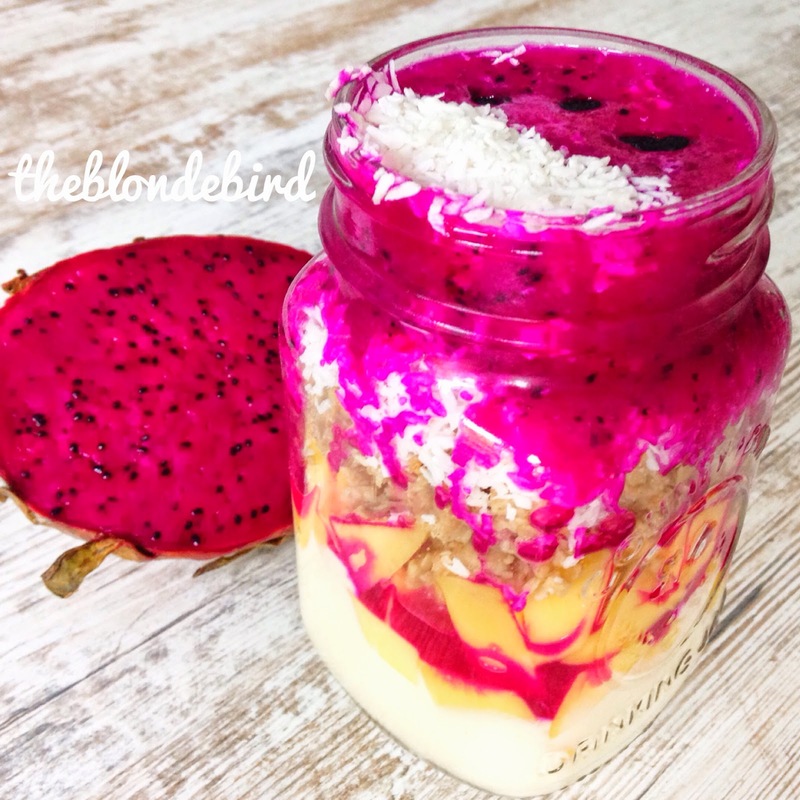 Oh and next Sunday we have a delicious TBB jar with pitahaya on the menu (deliveries in Vienna, Mödling and Baden! more infos: MENU). 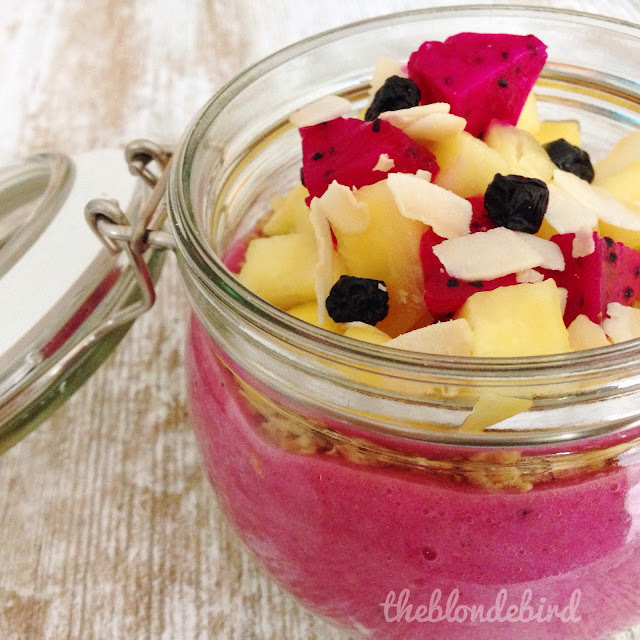 The fruit will be in the smoothie and on top. 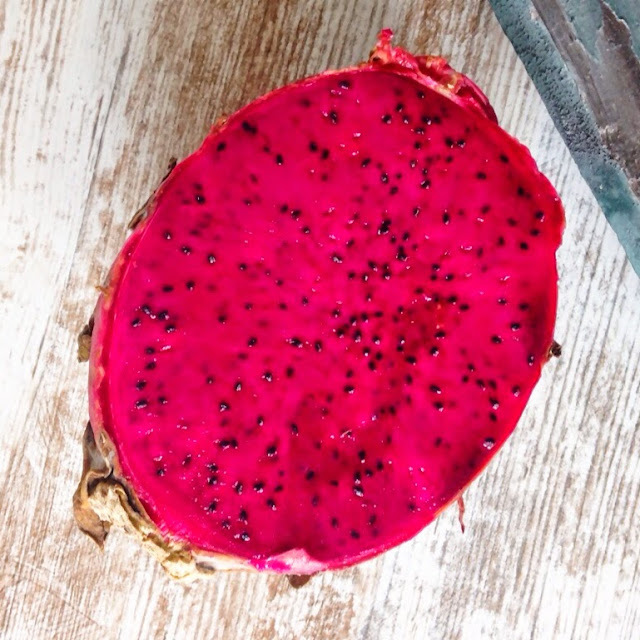 Pitahaya overload, yummie! Easy smoothie that is made in 2 minutes!